Polar Thermal Packaging Ltd manufacture a range of temperature control insulated systems. 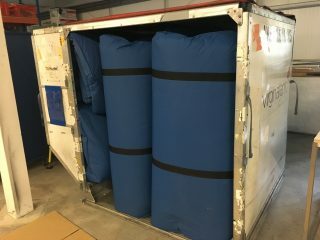 They include transport packaging for blood products, food, vaccines, pharmaceuticals, fine chemicals and many other specialist applications. Our entry in to the thermal control market came following a request by the Ministry of Defence to solve the problem of frozen food melting at the dockside. Since then our CEO Paul Harrison and the team, have put their design skills and entrepreneurial flair to good use, making applications for the National Blood Service, Van den Berg Oils, DHL, Excel Global Logistics, Marks and Spencer, Tesco’s, Sainsbury’s, Astra Zeneca and Pfizer to name but a few. Our primary target markets are Pharmaceutical, Clinical Research Organisations, Health Service Providers, Perishable Food Distributors and Logistics Companies, although our range of unique products are easily transferable to many other industries and service sectors. We believe we have the best performing British product in its field, and all our products are manufactured at our Wiltshire based factory. All systems are reusable and have a two year guarantee. Our products are now used throughout the world – we are continually exploring new markets and seeking partners that share our vision. If this is you then please get in touch! 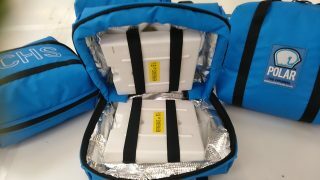 Our products have been deployed in the harshest and most testing environments and proved themselves – whether it is constant daily use in UK hospitals or in conflict-zones like Afghanistan you can be assured of effective and durable service. OK, so the real work goes on upstairs in our factory, but we are the ones you will be talking to! Paul is the founder and leader of Polar Thermal - he has built a reputation as a problem solver with a 'can do' attitude. Paul has an old-school view on integrity and values getting the job done. Alex is an experienced manager tasked with driving the business forward as it continues to grow. Jemma runs the office with a firm hand, keeps the staff and the books in order. If you want anything done Jemma is the person to start with. At our world class manufacturing facility in Warminster, UK we produce nearly all of our products using state-of-the-art equipment operated by highly skilled, time-served staff. It is not our policy to contract out, and we stand over everything that we supply. We provide a full design service as well as designing and developing our own products. We have full in-house testing facilities up to 6 metres x 3 metres - temperatures from -40°C to +40°C. 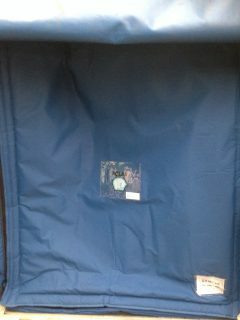 The tri-wall cardboard shell combines with a liner made from insulated foil wrapped Polartherm™ fibre and appropriate coolants/gel packs/phase change packs to deliver fantastic results over 30, 48 and 72 hours. 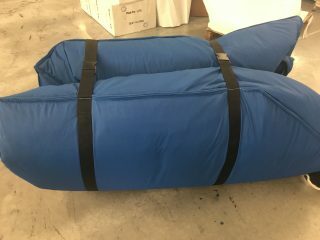 The new Polartherm insulating blanket owes its origins to the US space programme. Independent trials at Cambridge Refrigeration Technology’s proving labs have shown that Polartherm material has the best thermal insulating profile in its class, revealing a thermal conduction value of 1.19W/m 2 K.
For the air freight industry, the company supplies high integrity liners for LD3, LD7 and LD9 configurations that are collapsible and reusable. These passive liners offer an alternative to other more bulky, battery-powered systems. 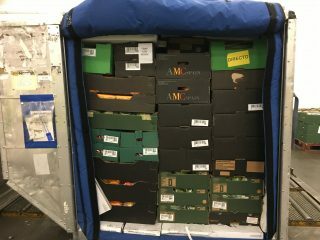 Currently, supermarket clients are shipping fresh produce to Dubai and Hong Kong from the UK without additional temperature controls. Cold blocks may be used for extended thermal performance, but typically a LD3 container will maintain 2-4⁰C for 32 hours in ambient temperatures of up to 35⁰C. 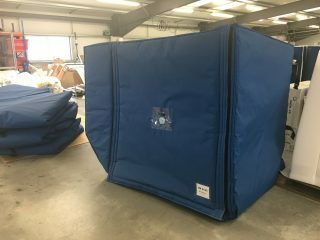 For pallet loads, the Tranzcube is a versatile cover offering a lightweight insulation jacket and a high density, lightweight rugged, poly pallet base, bringing immediate benefits to the storage and transportation of frozen, chilled, hot or ambient products. In tests with the Royal Navy, such covers have kept a pallet of –22⁰C frozen foods at a stable temperature, with minimal loss of 4⁰C over a ten hour journey at an ambient 30⁰C.